This organization was firstly established under the name of Kurdistan Technology and Research Centres by Professor Dr. Polla Khanaqa with the support of the Prime Minister of Kurdistan Regional Government Omar Fatah, and Dr Akhtar Najmaddin, the Minister of Higher Education and Scientific Research in 2005. After that, Kurdistan Institution for Strategic Studies and Scientific Research (KISSR) was established at the end of 2008 by Professor Dr. Polla Khanaqa and his colleagues in the Ministry of Higher Education and Scientific Research and the Council of Ministers – KRG. Kurdistan Institution for Strategic Studies Scientific Research is the first research institution in Kurdistan Region which is specialized for scientific research and strategy studies. Kurdistan In addition, this Institution was established to achieve four aims. Firstly, conducting high quality researches in a variety of scientific and humanity fields to step forward a civilized society in Kurdistan Region and Iraq. Secondly, developing the levels of technology, monitoring the living state and progressing in Kurdistan Region and Iraq. Thirdly, increasing and supporting academic thinking within society. Lastly, Offering standards for protecting the environment, controlling food and drinks in Kurdistan Region. Both local and international staff at Kurdistan Institution are responsible to conduct high quality researches, lecture and supervise undergraduate and postgraduate students at Kurdistan Institution, and the Universities and Institutes of the Ministry of Higher Education and Scientific Research, give training courses to the employees from the other ministries of Kurdistan Regional Government, and give presentations, participating seminars, workshops, and conferences. Meanwhile, local and international students could conduct their researches as well as do experiments at Kurdistan Institution. 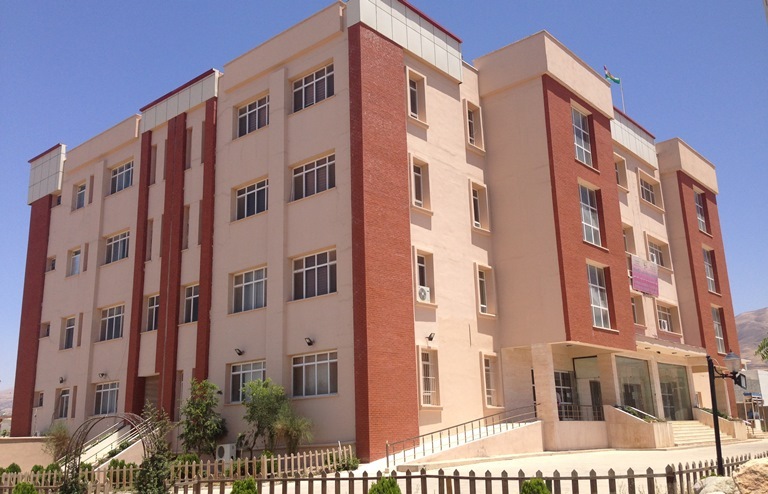 As of 2012, approximately 110 students have completed their research works at the laboratories of Kurdistan Institution. Kurdistan Institution is the first governmental organization in Kurdistan Region and Iraq that has used Azya Office Automation since 2013 to automate managerial and administrative processes. Azya Office Automation is a software provide by a local company used in Kurdistan Institution to digitally create, collect, store, manipulate, and relay office information needed for accomplishing basic tasks.